Categories: 4-20 mA, Digital, HART, Output, Type Of Transmitter, Transmitters, Approvals, ATEX Ex ia, HART, IECEx, SIL2, Input, RTD, Thermocouples, Universal, Isolation, Isolated, Measuring Channels, 2 Measuring channels, Rail Mounted. 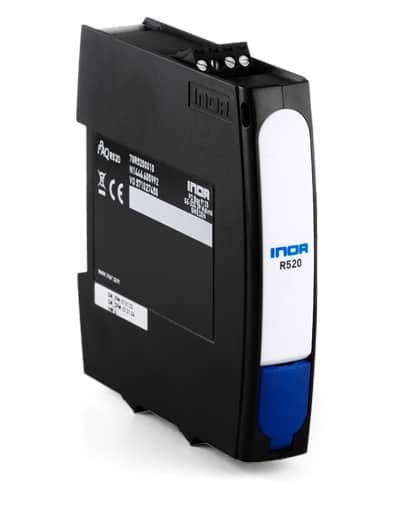 The IPAQ R520 transmitters are universal, isolated, dual-input temperature transmitters with additional voltage and resistance input. The R520N is approved for Non-Incendive use in Ex-Zone 2. R520X/R520XS are Intrinsically Safe versions for use in Ex-Zone 1 and 2. The transmitters are compatible with the HART 6 protocol. Typical characteristics are the high accuracy, stability and reliability combined with a robust housing.